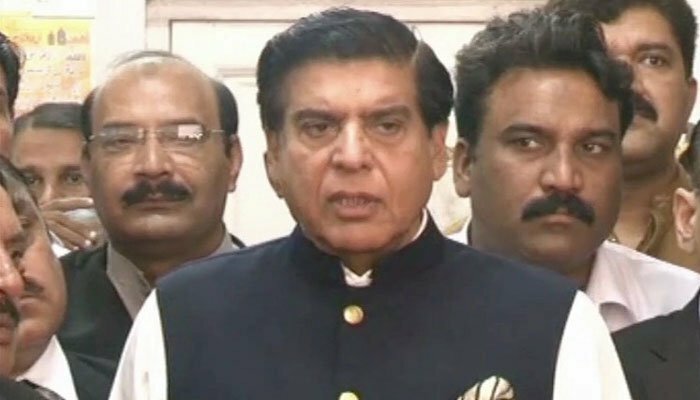 LAHORE: Deposed prime minister Nawaz Sharif’s recent comments regarding the 2008 Mumbai are anti-Pakistan, former prime minister Raja Pervaiz Ashraf said on Saturday. “Nawaz’s statement benefited India,” he said while speaking to reporters outside an accountability court in Lahore. “Nawaz’s statement was condemned worldwide and is not befitting of an ex-prime minister,” he added. “Nawaz’s statement hurt the sentiments of the Pakistani nation. His statement is anti-Pakistan and therefore he should withdraw it,” Pervaiz said. Nawaz Sharif was widely criticised over comments he made during an interview. “Militant organisations are active. Call them non-state actors, should we allow them to cross the border and kill 150 people in Mumbai? Explain it to me. Why can’t we complete the trial?” Nawaz had asked.